Direct farm supplies now sells horse feeds and supplements to horse owners and livery yards in Gloucestershire. We stock horse feeds from leading brands such as Allen & Page, Spillers and TopSpec, mollichaff & equerry. we also sell chaffs and haylage bales such as Spillers happy hoof and top chop lite from top spec. If we don’t stock the horse feed you require we will probably be able to source it for you. As well as horse feeds we also offer bedding materials to order. Due to the vast range of horse feeds available it is not possible for us to keep all of them in stock. Please contact us with your requirements and we will happily give prices if we can. 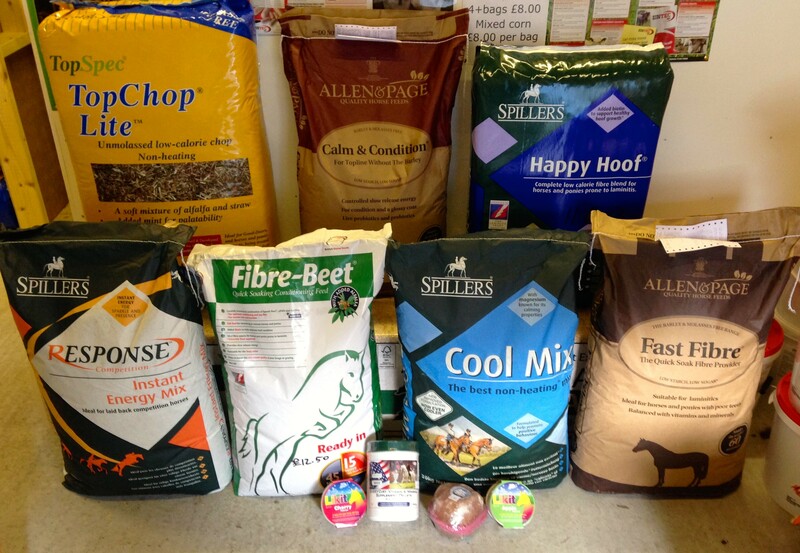 All of the horse feeds on our website are usually in stock and are popular products. If you run a livery yard in Gloucester please contact us to see if we can offer you a bulk feed service delivered to your yard.